In Scotland a But and ben is a little cottage getaway. The ‘but’ is an outer room or sometimes kitchen, the ‘ben’ a cosy inner room. Regular readers will recall that I was lucky enough to spend a month in an off-grid but and ben last year, and I haven’t stopped going on about it yet. 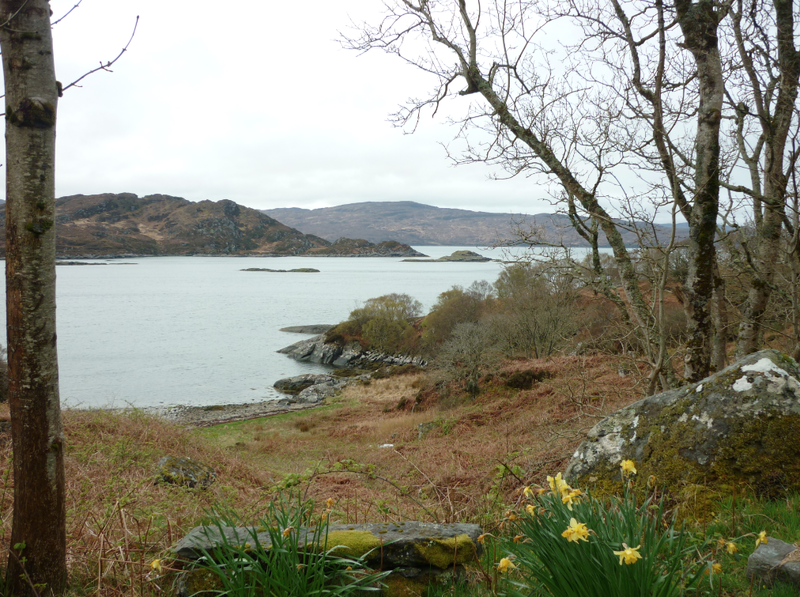 But excitingly me for, last weekend we went back to the same island to look at another but and ben cottage with a view to taking it for a year. I’d seen the cottage from outside before – it was about a 20 minute walk along from where we stayed last time – but never inside. Walking up to the door with the keys was very exciting, and once I got inside I took the most godawful pictures due to excitement and too much cold coffee out of a flask. This shot however gives you a feel of what it is like. Three rooms – does that make it a but and ben and ben? – a bedroom at one end, kitchen in the middle and a living room at the other. 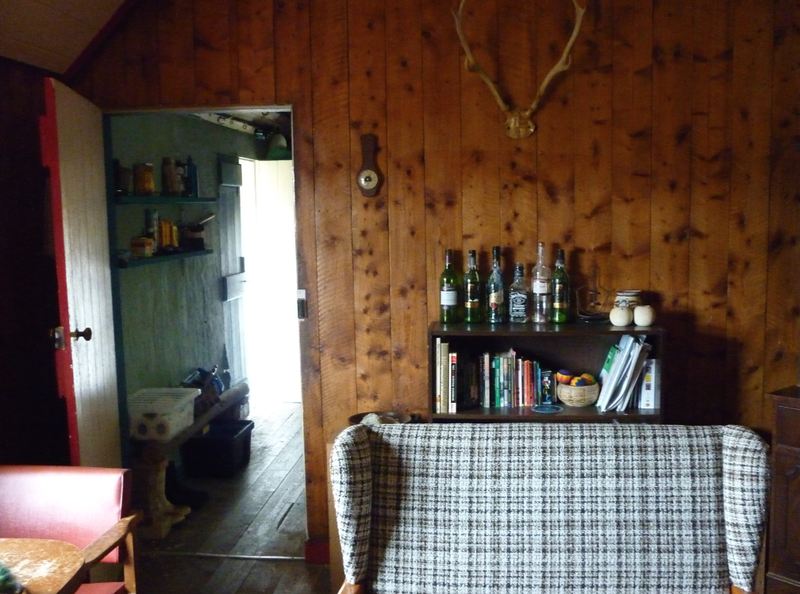 The current owner has it done in perfect Highland cottage style – check the antlers – but I can’t wait to paint it all white. This is the view from the little garden. If it all goes ahead I’ll share plenty more pics and endless waffle about sourcing authentically scratchy blankets and a tin bath (my brother in Japan asked me who this Tim Bath guy was that I was always going on about). But for now here is a little taste of where my thoughts are at right now. I may be sat at a desk, but my spirit is whittling a walking stick while looking out for sea otters. Thank you for your quick reply. I am so sorry you did not get it, but I am sure your perfect But and Ben, is out there waiting for you! I spent a couple of years researching the Orkney Islands, I can explain what it is about Sanday, the beaches, the big sky or the lovely people, a good mix of Orcadian, and incomers. I had been looking for land at the start of the search, but as time went on I fell in love with the old style of so many of the ruinous, dwellings. My mind was made up for me that I had to save, what so often was being demolished, for new buildings with no history and style. It was also a great way to get back on the property ladder for very little. Where else could you by a home with 8 buildings, 2.5 acres, so much history and access onto one of the Islands most stunning beaches! Door update – is this oversharing?